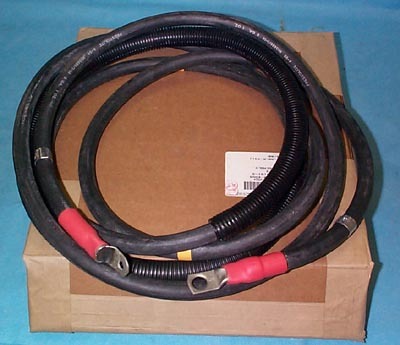 Heavy Duty Battery Cable - 15' 4"
Brand New!! Heavy Duty Battery Cable with eyelets installed on each end. Cable measures 180" - 15' 4" from center of eyelet whole to center of eylet whole. Cable is constructed of O Gauge wire. Military part number of: M13486/1-14. Each eyelet whole is 1/4" in diameter.